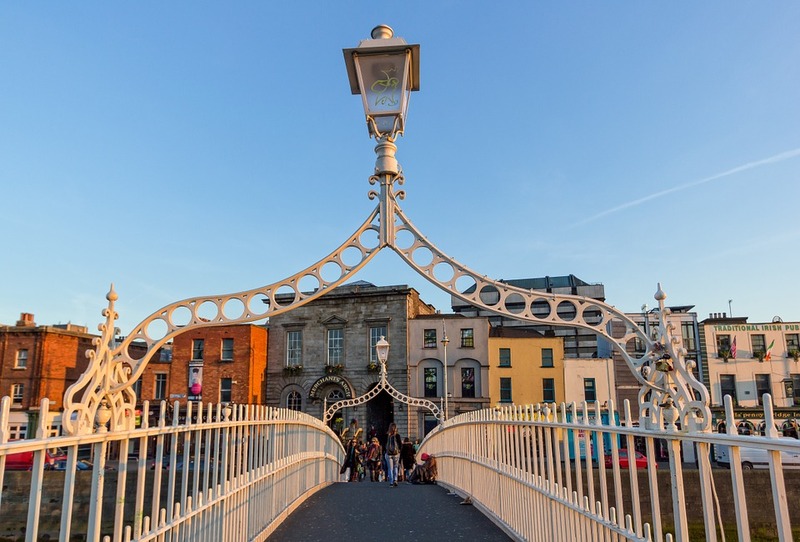 Dublin is a vibrant destination that has just the right mixture of cosmopolitan city life, and the opportunity to escape to its windswept coastline and urban parks. 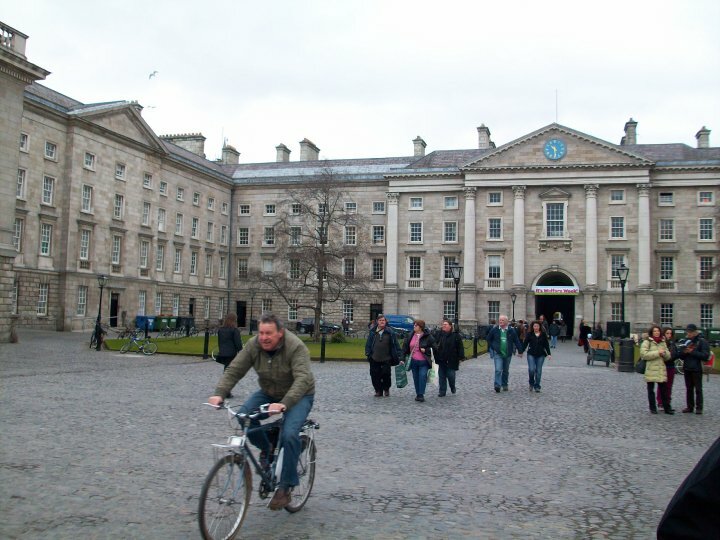 With companies such as Facebook and Google planting their headquarters in the city’s financial district, as well as four universities, Dublin has everything a city needs to thrive in the modern world. 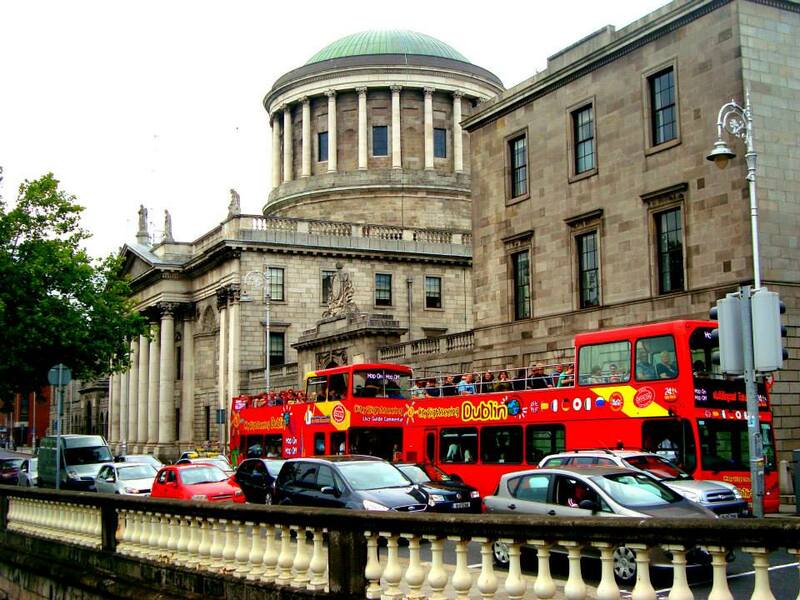 If you’re thinking of relocating to Dublin or anywhere in Ireland, be sure to have a valid passport that lists you as a “British Citizen”. Both Britain and Ireland are in the Common Travel Area and, before Brexit comes into effect, you won’t need a visa. As always, be sure to take out valid travel and medical insurance before leaving the UK, and be sure to bring your EHIC card with you so you can access state provided medical care. So, if you’ve made the move, what’s next? 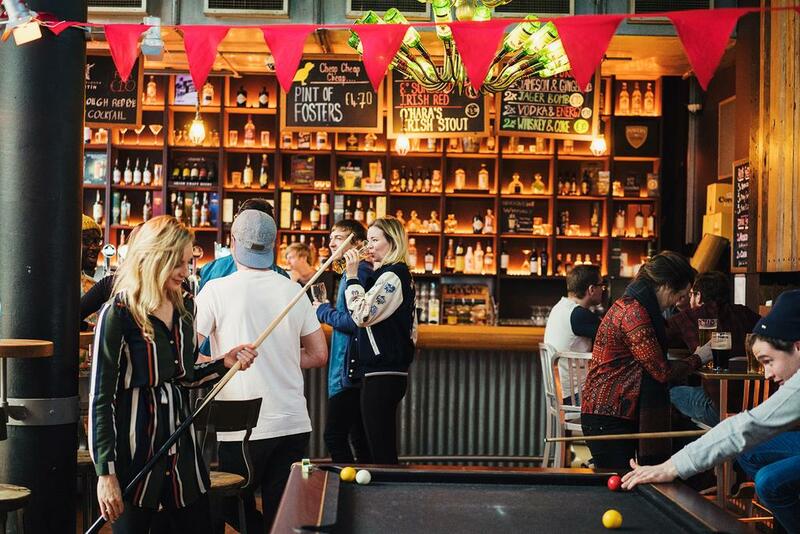 You’re in luck; we’ve compiled a guide of things to do in the city every month. Christmas is over and, no doubt, you’re feeling the January blues. This isn’t helped by the fact that Dublin’s weather tends to be cold, wet and windy at this time of year. However, one of the best ways to enjoy yourself in the Irish capital is to visit some of its many independent cafes! The previously mentioned Beanhive on Dawson Street offers a wide variety of hot drinks and delicious sandwiches, including many vegetarian and vegan options. 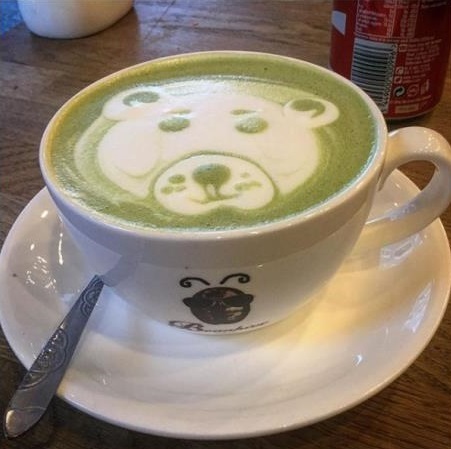 For no extra cost, you can have some cute latte art drawn on your drink. The barista is open to your requests, which is sure to brighten up your day even further! Just down the road, Dolce Sicily is a Sicilian coffee shop that boasts a wide selection of homemade cakes. On the banks of the River Liffey, the Dwarf Jar café can be found at 1 Wellington Quay. This cosy café has a whole wall of loose leaf tea, taking the Irish devotion to a “cuppa” to a whole new level. If February’s weather remains wet and grey, don’t despair; Dublin has a variety of excellent museums for you to explore! 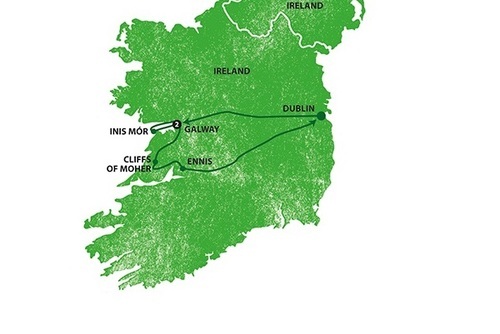 EPIC: The Irish Emigration Museum immerses visitors in the history of the Irish people’s immigration around the world, as well as celebrating the contributions made by the Irish, and those with Irish ancestry, to the fields of the arts, politics, sports and more. There are a few surprises in store – did you know that Barack Obama’s third great-grandfather was from a small village in County Offally? If, like the former US president, you can boast Irish ancestry, there’s also a genealogy centre next door, with experts on hand to help you trace your Irish family history. Entry to the museum is only 15 euros, with a concession of 12 euros for students. Music lovers shouldn’t miss the Irish Rock and Roll Museum in Temple Bar. Learn the history and see memorabilia from Irish music legends like U2, Thin Lizzy and Rory Gallagher. There’s also a pair of Michael Jackson’s pyjamas on display, which he donated after living in Ireland! If money is tight, the National Museum of Ireland is free to enter. There are three sites across the city: Natural History, Archaeology and Decorative Arts, and History. The grey skies are beginning to clear and pink blossoms are sprouting in the trees all over Dublin. 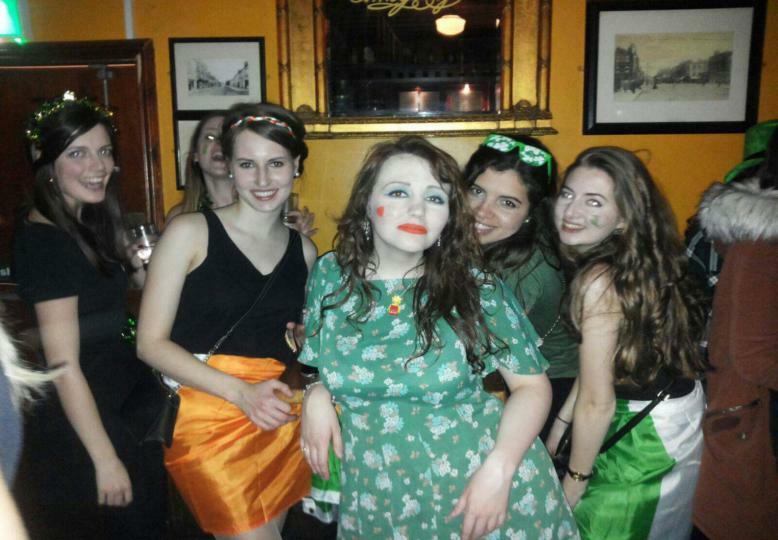 What’s more, March is the month to be proud of being Irish – or at least pretending you’re from the isle! 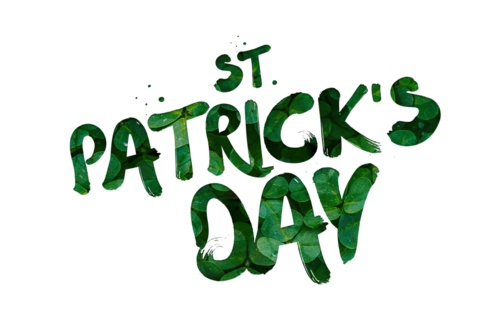 The 17th March is, of course, St Patrick’s Day. 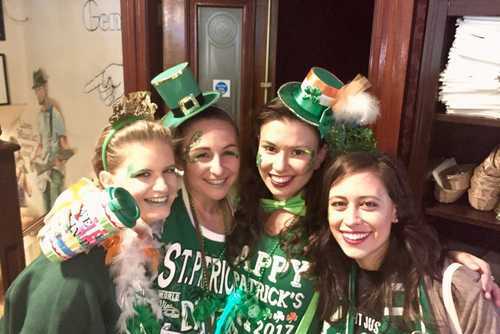 What better place to be celebrating the event than the Irish capital itself! The best way to spend the day is doing what the Irish do best – enjoying a pint of Guinness in a traditional Irish pub! 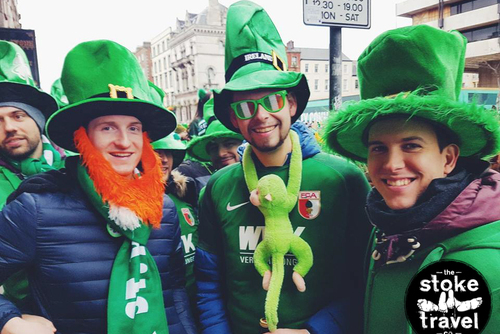 Avoid going to one in Temple Bar, as St Patrick’s Day is one of the area’s busiest days of the year, with massive crowds and extortionate prices. A tourist trap if there ever was one, the locals will be steering clear of the area and instead heading to pubs in areas such as Portobello and around Camden Street. Of course, remember to know your limits when it comes to alcohol. 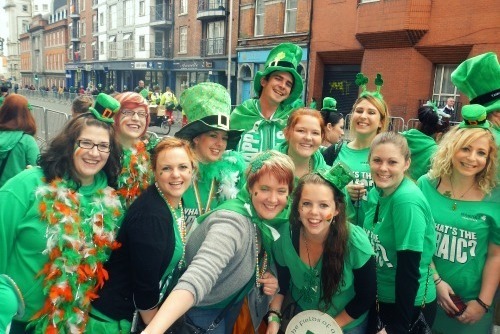 Though you’re sure to want to enjoy a drink on the day which celebrates everything Irish, don’t go beyond a safe level. Irish drink measures are slightly higher than British; a single measure of spirit is 35ml as opposed to 25ml, and alcohol percentages are worth fewer units. Don’t be tempted to drink and drive, especially since Ireland created new drink drive limits in 2011 so familiarise yourself with them. 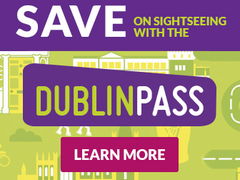 As a major city, Dublin has a well-connected public bus and LUAS (tram) services available for you to use instead. 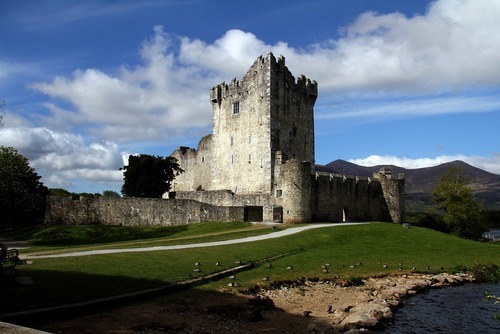 April is the month to spend brushing up on your Irish history. The 24th-29th of the month marks the anniversary of the Easter Rising, an armed rebellion against British occupation which kickstarted Ireland’s road to independence. To get a really immersive understanding of the rising, one can do an Easter Rising Bus Tour. 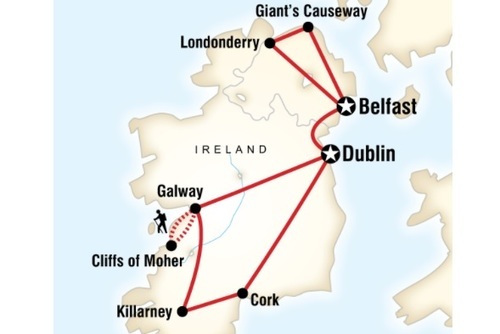 The Rise of the Rebels tour is 25 euros for an adult and 15 euros for a student ticket, and involves a 2-hour trip to key sites as well as talks by actors. 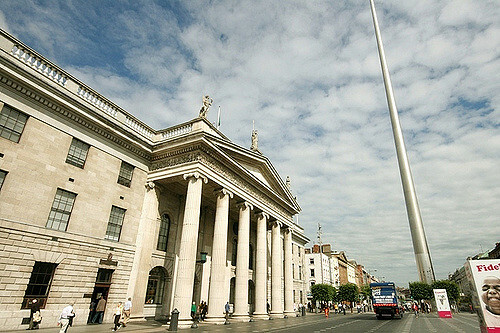 If you’re looking for something cheaper, the North Side Walking Tour meets everyday at 3pm at The Spire, O’Connell Street. The tour is free to join but it is recommended that you tip your guide at the end. The tour gives an impressive level of detail on the rising’s events, from the very beginning right up to its legacy today. Spots visited include the General Post Office, Garden of Remembrance and the James Connolly memorial statue. Of course, you’re also free to go and look at any of these places by yourself! 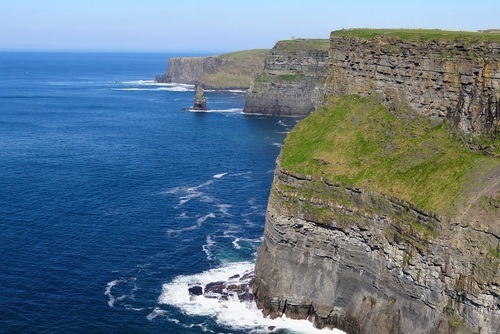 Dublin is surrounded by coast, and as spring moves into summer it’s time to head out of the city and see what the beautiful scenery has to offer. Dun Laoighre is a beautiful harbour town which hosts a food market in the People’s Park every Sunday. There’s an eclectic mix of vendors, including Japanese, Middle Eastern, and Indian, plus a hand-rolled ice cream stall! After filling up on food, take a walk along the town’s East Pier. 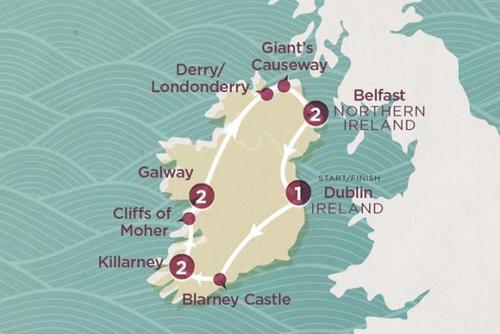 This feat of engineering took 42 years to build and allows tourists to walk far out to sea. 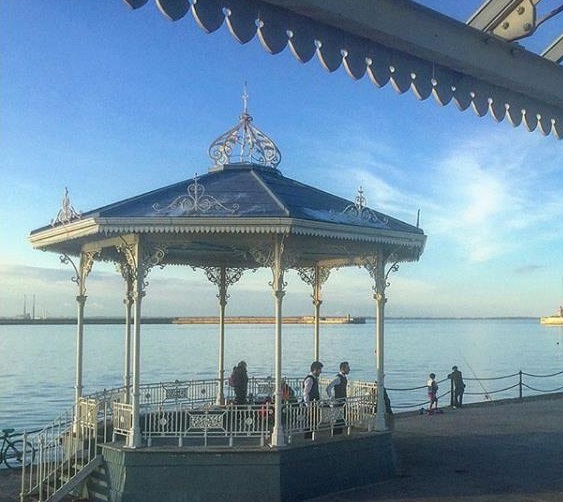 Remnants of Dun Laoighre’s past as a Victorian seaside town exist in the Victorian bandstands dotted along the pier. As Dublin moves into the summer months and (hopefully) warmer weather, what better way to celebrate than to enjoy food and drink in a beer garden? Next to the Grand Canal in Portobello, The Barge is a bar and restaurant that one has to go to when things heat up. It has a beer garden out the front, but you can also take drinks across the road to sip them by the canal. This is one of the few places you can do this in Dublin, as new regulations have banned the consumption of alcohol in most public areas. On midsummer nights the area is brimming with Dubliners wanting to cool off by the canal’s edge. Of course, be cautious near open water. Though 2018’s dates are yet to be confirmed, the third weekend in July is when Longitude music festival is held in Marlay Park, Dublin. The sister festival of Latitude in the UK, past headliners have included Kendrick Lamar, The National, The Weeknd and Stormzy. The perfect event for music lovers and festival goers is right on your doorstep! Marlay Park is also known to host other big name concerts over the summer months: The Stone Roses, Kasabian and Kanye West have all previously played here in July. If you’re heading to Longitude or any other music event, don’t be tempted to take drugs. If you’re caught, possession can lead to a lengthy term of imprisonment. If the weather stays dry and sunny, August is the month to explore Dublin’s magnificent beaches. 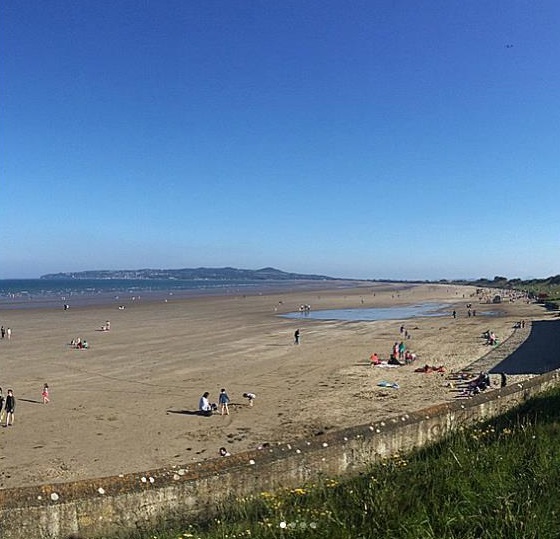 Just an hour away from the hustle and bustle of the city is Portmarnock Beach, an extensive sandy strand. Lying on the beach on a hot day feels more like a holiday in Spain than an afternoon in Ireland! The beach is reachable by both train and bus services from the city. Of course, if the weather is really hot, there will be the temptation to go swimming. This is fine, but watch out for coastguard flags warning of the sea conditions, and don’t go in if conditions are bad. Autumn is arguably the best time of year for sunsets. As such, September should be the month you make a trip to Howth – a quaint seaside town which is just an hour from Dublin by train. 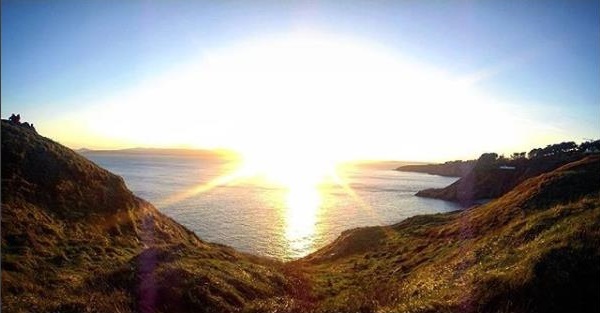 The Howth Cliff Walk offers picturesque views at any time of day. However, watching the sunset is truly something to behold. The sunset in September usually falls between 7 and 8pm; it’s best to check as it can vary daily. Despite being beautiful, one should take care when doing the Howth Cliff Walk; there are many steep drops. 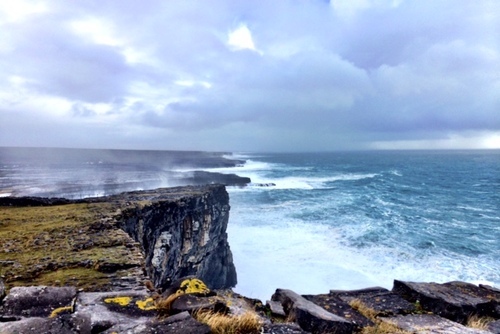 Keep an eye out for local weather warnings, and don’t attempt it if conditions are hostile. This is why the walk is best done in September, and not later into the autumn months. The walk is not, however, too challenging; there is also a bus to the summit if things get too tricky! As autumn draws in and the leaves turn crisp, one of the best things to do is take a walk around Dublin’s many urban parks. See St Stephen’s Green transform into an oasis of browns, reds and yellows, colours which iridescently reflect off its lake. Needing to build fat for the winter, the resident ducks will be happy for your generous offerings of bread. A café on Dawson Street called the Beanhive is happy to give you bread crusts for free! Not too far away, Merrion Square offers the best example of Dublin’s Georgian era. Rows of pristine houses with colourful doors encircle the park. 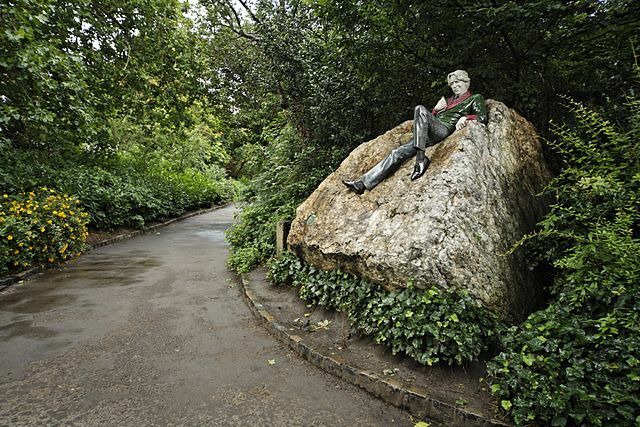 Step inside for an adventure playground, and take a selfie with a statue of one of the city’s most famous sons, Oscar Wilde, near the park’s entrance. Sticking with the autumnal park theme, November is the perfect month to visit one of Europe’s largest urban parks. Phoenix Park, located to the west of the city, is easily reached by bus. The park is home to many wild deer and plant species, three of which are rare and protected. To retain the park’s ecosystem therefore, don’t pick any plants or flowers. The President of Ireland’s official residence is in the park and it’s open for free guided tours every Saturday. At a size of 707 hectares, one of the best ways to see the park is by bike. They can be hired from the Phoenix Park Bike Company near the park’s entrance. Each hire includes a bike helmet which one should wear, especially if cycling conditions become trickier in the unpredictable November weather. November is also the month that Dublin’s Christmas lights are switched on! The event is heralded by a festive parade. Keep an eye out for the specific date each year. Spending December in Dublin is a real treat, as the city goes out of its way to be as festive as possible! Take a walk down Grafton Street at night to admire the glorious Christmas lights. A particular highlight is the fabulous Brown Thomas window display; think of a smaller version of what you’d see at Harrods in London! A huge Christmas tree brings the festive spirit to O’Connell Street, just outside of the General Post Office. If you’ve been good and fancy a trip to see Santa, he’s available for visits in St Stephen’s Green shopping centre and Arnotts. The Christmas Eve Vigil in St Mary’s Cathedral is a beautiful spectacle for the religious and non-religious alike, as the Palestrina Choir sing. If you want to feel especially Christmassy, sit in with a hot chocolate at Butler’s Chocolate Café. The Irish chain has many sites around the city, but each one is sure to be decorated to the nines with festive features!